Long time, no see! Now that I’m back at Oxford for the start of Hilary Term it’s time to get back on track with chronicling my study abroad adventures. 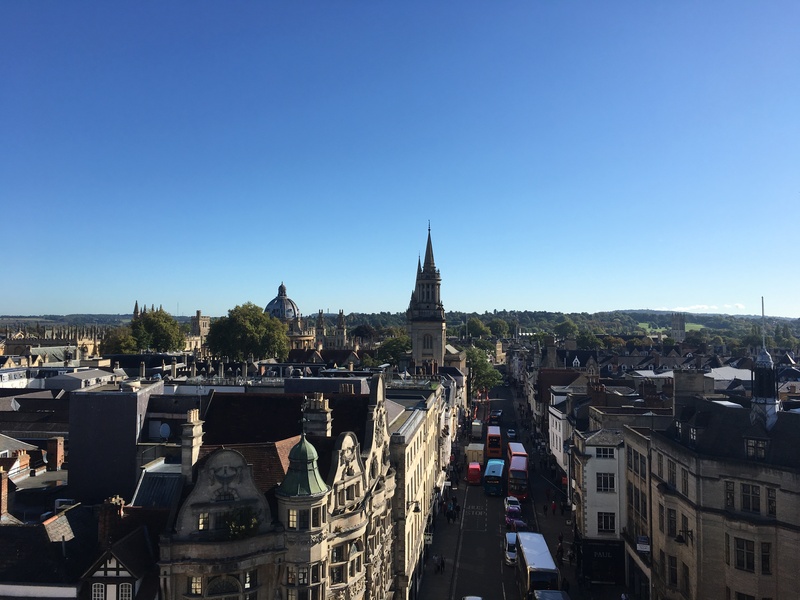 Today I’ll be talking about the strange feeling of returning to Oxford after being home for several weeks, lounging around my house in pajamas and eating mainly dessert and granola. in some ways it feels as though I never left Oxford at all. It took no time at all for me to get back into my usual morning and night routines (showering, what time I wake up in the morning, making breakfast, etc.). The city streets felt just as familiar as they did when I left in December and I had no issues finding my way around on my first day back. I walked into the local grocery store and knew exactly where the oatmeal, apples, and Ritz crackers were located on the shelves. The accents and different vocabulary was less jolting than when I first arrived last term. All of this surprised me– I had expected to come back to Oxford and have to readjust to everything all over again. It was comforting and reassuring to know that many things had stuck. Of course, I did have a bit of readjusting to do. One of the things I dislike most about traveling is changing time zones. To start, there’s the obvious inconvenience of being tired, hungry, or wide awake at times when the opposite should be true. Eating “breakfast” on the plane at seven in the morning in England felt strange when it was actually only 2 a.m. back home. I was exhausted by the end of the day (I can’t fall asleep on planes, so I had been up for about 36 hours at that point). However, time zones are also awful because they make it much more difficult to communicate with people back home. Oxford is five hours ahead of New Hampshire, so when I wake up in the morning it’s still nighttime there. I’m not sure if I’ll ever quite get used to the strange feeling of knowing that my friends and family are still sleeping (or sometimes just going to bed) as I wake up and go about my day. All in all, I’m ecstatic to be back in Oxford with the usual routines of reading, writing, pub crawling, and exploring the city. This term my tutorials are English Literature 1910-Present and Writing Feminisms, both of which I’m really excited about. I can’t wait to spend the next six months in this breathtaking city! Have you ever returned to a new favorite place after a short amount of time? Does it take some getting used to or does it feel like you’ve never left? (Or both?) Let me know in the comments section below! I remember when I went to college how easy it was for me to readjust after being away from there. Then again, my college was in the same state I live in so it wasn’t all that difficult. I hope you will have a wonderful semester. It is pretty gray here! 🙂 Thanks so much! Or as we would say; grey 😂😂😂. I think we might be getting more snow soon too. I find it hardest to go to classes in different buildings than I did last semester, but other stuff, including the comfortability of my bed, is better. OMG!! That must be hard to stay in touch with all of your friends in different time zones! When I returned to Freiburg after my semester break (I’d been traveling around Europe), it felt like home. But when I went back a year later, after having been home for a year, it was awful. I felt different, the people felt different… I still adored the city, but I no longer wanted to be there, if that makes sense. That definitely makes sense! Traveling is so strange… I feel like you can never truly predict how you’ll feel when you end up somewhere new (or return to somewhere you’ve already been).